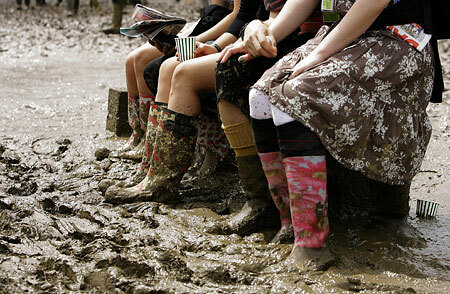 V Festival 2012 Sells Out At Record Speed! Now in its 17th year, V festival still seems to be as popular as ever! Tickets for the highly acclaimed Essex and Staffordshire festival went on sale Friday 2nd March and were announced as being SOLD OUT by the end of the day. The festival is known to be one of the most exciting musical events of the year, and throughout past years has drawn in thousands of fans who travel from across the world to watch their favourite acts. This year’ V festival line-up is set to be as star-studded as ever, with acts such as The Stone Roses, Olly Murs, Nicki Minaj and Ed Sheeran are confirmed to perform for the crowds. Much to the excitement of many, including fellow acts such as Noel Gallagher, The Stone Roses are reported to be headlining the festival on its final night. The band, who fell apart in 1996, announced that they had reformed last October – much to the delight of fans everywhere. If you are one of the many lucky ticket holders to this year’s V festival, then it sounds like you are in for a treat! The music will be kicking off on Saturday 18th August, so hopefully the sun will be shining over the hundreds of happy campers who will be braving the campsites this year. This entry was posted on Monday, March 5th, 2012 at 10:17 am	and is filed under Music News. You can follow any responses to this entry through the RSS 2.0 feed. Both comments and pings are currently closed.